This feature has the capability of editing/revising ALL of your existing listings monitored in your DSM account depending on the kind of listing that you want to edit/revise using the filtering process on the Price Monitor. 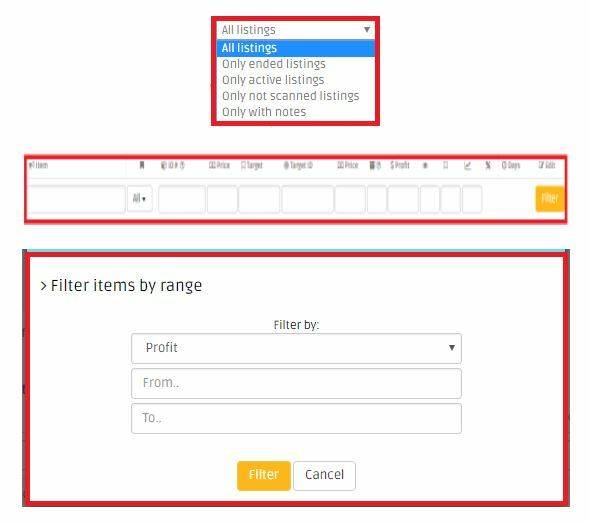 Next, using the filters, select the items that you want edit/revise. 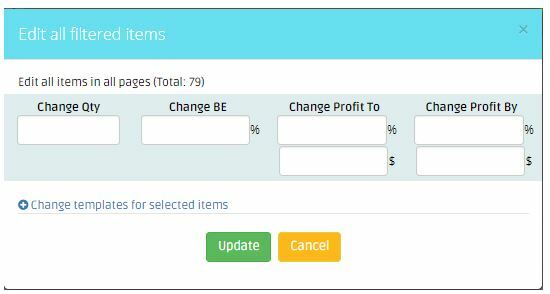 Then once the result came up after the filter process, click “Revise All Filtered Items” at the bottom of page. Finally, a window will pop-up that shows the information about the listings that you can edit.